Link-Ups Archives - Page 2 of 13 - Baby Doodah! Welcome to the 89th week here at Turn It Up Tuesday! Last week, we had an awesome time on Turn It Up Tuesday with 353 links – another amazing week! We’d like to thank each and every one of you for making every week so amazing! Keep sharing your amazing posts with us here on Turn It Up Tuesday! 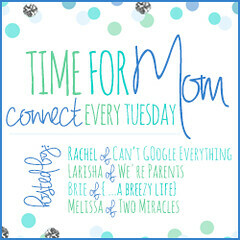 Turn It Up Tuesday is one of my favorite ways to stay connected to all of my friend on the net! Join us, and please keep sharing your best posts! Welcome to the 87th week here at Turn It Up Tuesday! Last week, we had an awesome time on Turn It Up Tuesday with 404 links – another amazing week! We’d like to thank each and every one of you for making every week so amazing! Keep sharing your amazing posts with us here on Turn It Up Tuesday! Welcome to the 85th week here at Turn It Up Tuesday! We had an amazing April…thank you so much for linking up with us and entering to win the Just to Say Thank You Giveaway!!!! 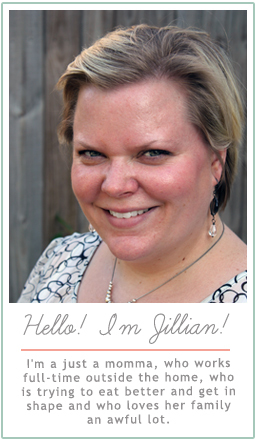 Last week, we had an awesome time on Turn It Up Tuesday with 392 links – another amazing week! We’d like to thank each and every one of you for making every week so amazing! Keep sharing your amazing posts with us here on Turn It Up Tuesday! Welcome to the 84th week here at Turn It Up Tuesday! This is the last week of April…and the last week for our Just to Say Thank You Giveaway!!!! So happy to have you here with us this week!! Lots of exciting posts being featured this week – We have posts about Pinterest Tips, to gorgeous kitchen makeovers. Definitely some posts you want to check out! Link-up below and show us what you’ve got! Last week, we had an awesome time on Turn It Up Tuesday with 315 links – another amazing week! We’d like to thank each and every one of you for making every week so amazing! Keep sharing your amazing posts with us here on Turn It Up Tuesday! The post with the most clicks is The Absolute, Best Thing About Blogging! from Earning & Saving with Sarah Fuller. This month, we did something a bit different with our giveaway! Each week this month, we selected one entrant to win $50 Paypal cash! You increase your chances of winning by stopping by each week and entering to win! The winners from the 1st 3 weeks of the Just to Say Thank You Giveaway have been announced! There is still 1 more chance to win this week before our Just to Say Thank You Giveaway officially ends…make sure to enter to win! This week is our Instagram week – so be sure to follow the host, co-hosts, and guest hosts below for your chance to win $50 Paypal cash! Welcome to the 83rd week here at Turn It Up Tuesday! Last week, we had an awesome time on Turn It Up Tuesday with 364 links – another amazing week! We’d like to thank each and every one of you for making every week so amazing! Keep sharing your amazing posts with us here on Turn It Up Tuesday! The winners from the 1st two weeks of the Just to Say Thank You Giveaway have been announced! There is still 2 more chances to win in Week 3 and Week 4 of the Just to Say Thank You Giveaway…make sure to enter to win! 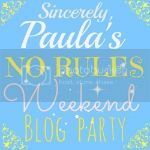 This week is our Bloglovin week – so be sure to follow the host, co-hosts, and guest hosts below for your chance to win $50 Paypal cash!